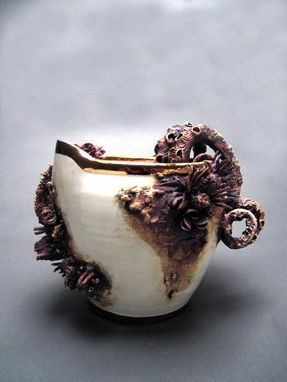 I am a potter trained in traditional Japanese and English production techniques, which I studied at The University of the Arts in Philadelphia. My home and studio is a barn on the south shore of Long Island, NY. My work in the past has been primarily humorous commentary on mainstream pop culture trends using functional ceramic ware as the conduit. 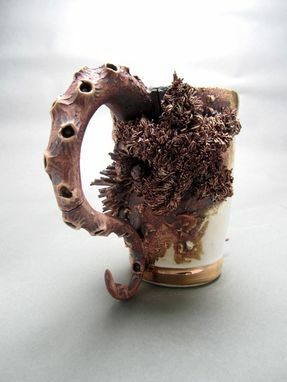 However, after taking a break from the art world I returned to my home near the ocean. 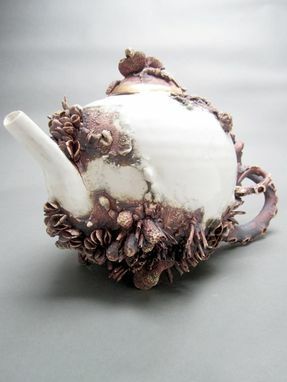 Spending some time reintroducing myself to my favored medium porcelain, I found inspiration in the material itself. 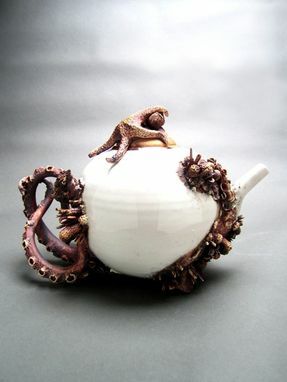 I decided to create some fancy functional pieces and morph them with sea creatures inspired by memories from my childhood and my new familiar surroundings all the while exploring porcelain's boundaries. 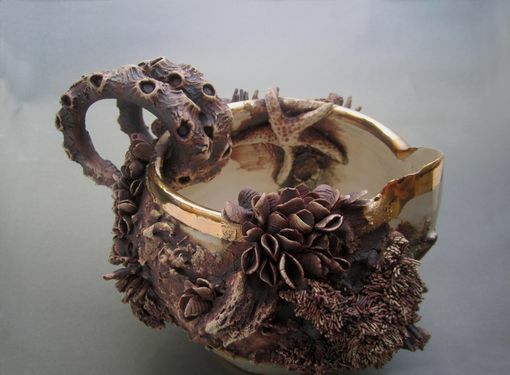 Covering formal ware in crustaceans – which in real life have an unforgiving ferocity – has become exciting to me because it is a reminder that no matter how much we try to control the creation of what we think is beautiful, nature can and will usually end up taking over. 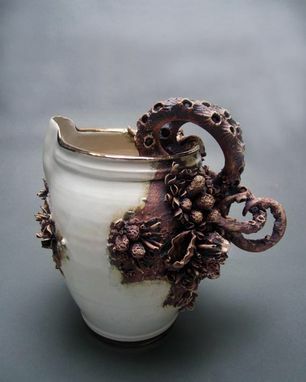 But what truly excites me (and keeps me needing to make more) is marrying my love of functional porcelain pottery and a whimsical (or ferocious?) 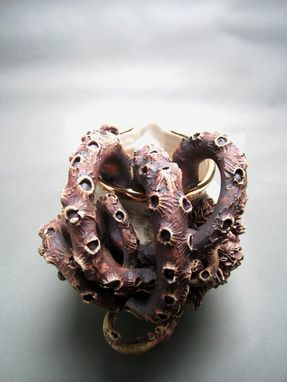 underwater world that mars and envelops the formality of each piece. One type of beauty is made more beautiful by co-existing with its foil resulting in two completely different aesthetics existing harmoniously as one piece. 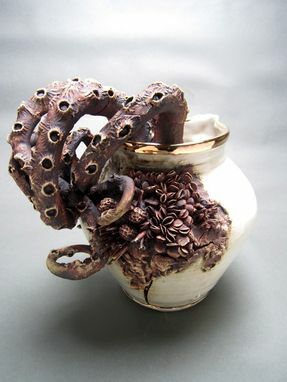 The bottom feeders are thrown porcelain adorned with hand-built elements. 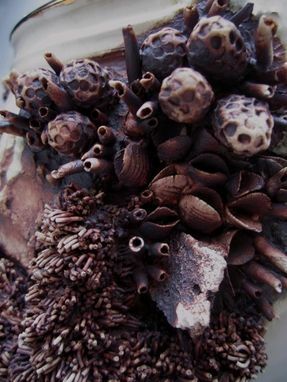 The sea sponges used are slip cast (they are actual sea sponges dipped in liquid clay and then burnt out). 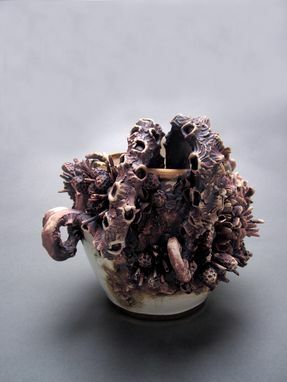 The pieces are high-fired to 2,200 degrees Fahrenheit with glaze and oxides. 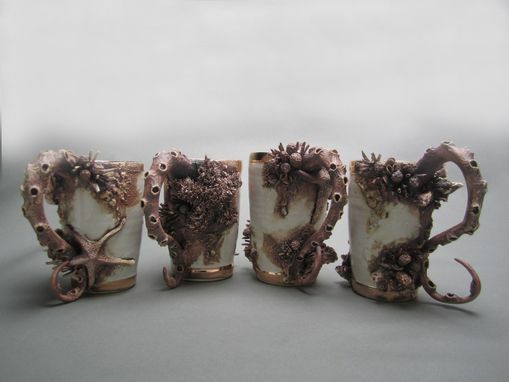 They are then finished with 22kt gold luster fired on at 1,350 degrees Fahrenheit.